¡5 minutos por día y el dolor desaparece! It doesn’t always take a trip to the spa to pamper your feet. 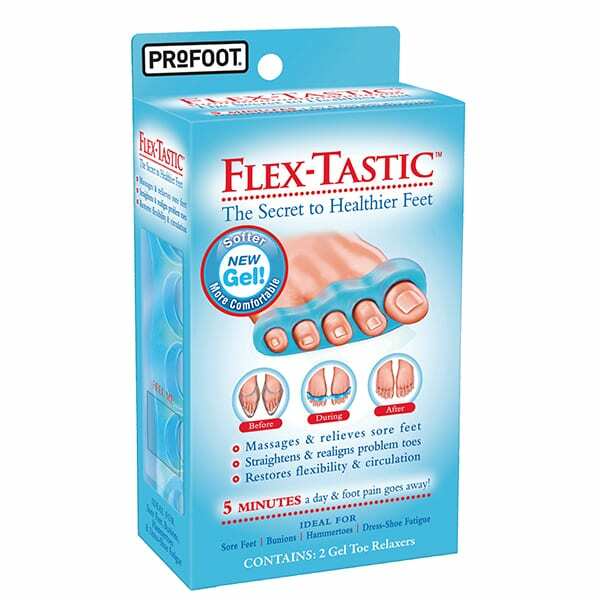 Just slip on a pair of Flex-Tastic gel massagers for 5 minutes and you’ll swear you heard your feet say, “Thank you!” Their professional design means they don’t just separate your toes; they align them. And that relieves joint and muscle pain from being on your feet all day.